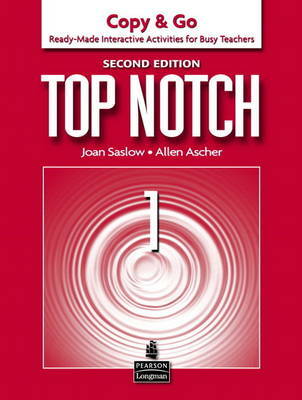 The Top Notch Copy & Go provides board games, role plays, information gaps, and "find someone who..." for every lesson. The six-level Top Notch program makes English unforgettable through multiple exposures to language, numerous opportunities to practice it, and systematic and intensive recycling. Goals and achievement-based lessons with can-do statements enable students to confirm their progress.